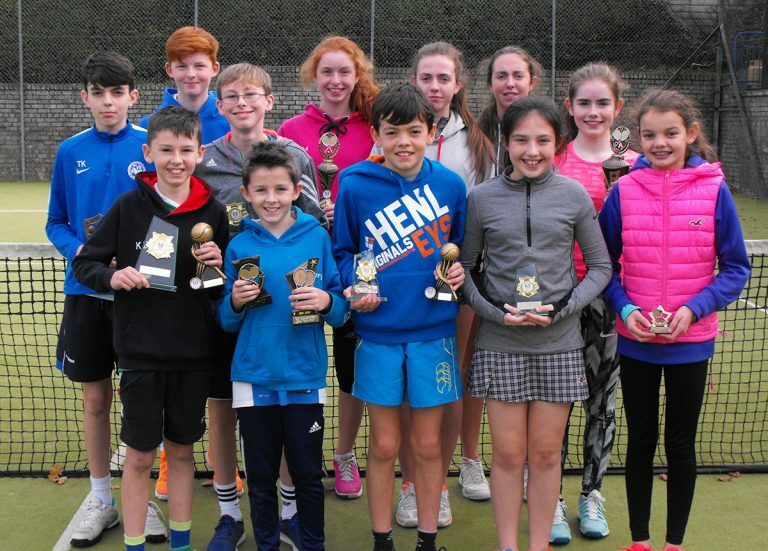 The annual junior tournament for members in Enniskillen Tennis Club took place last week. 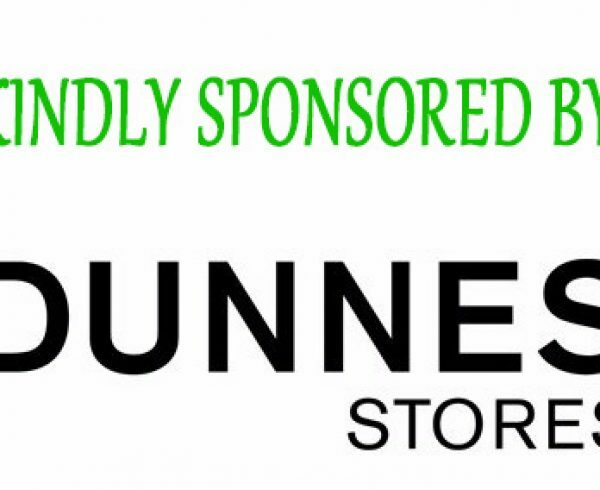 Once again, this tournament for local players was generously sponsored by Dunnes Stores. Traditionally the tournament has been used as a platform to introduce our young members into competition. 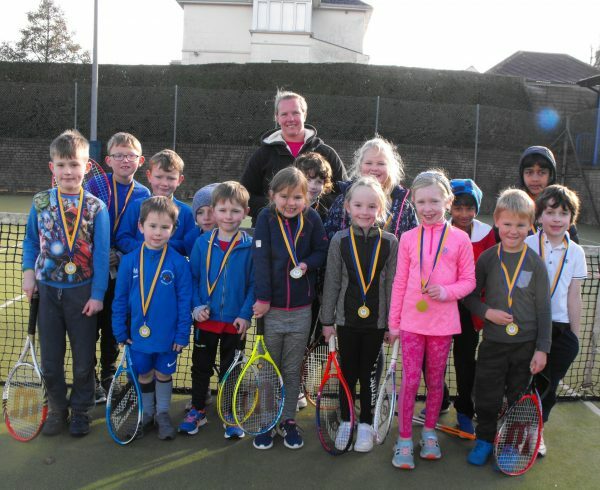 This is an event that provides for all abilities – from those who play tennis every week to those who come under the banner of recreational players and it also includes the under tens who had their own special event on Saturday morning. 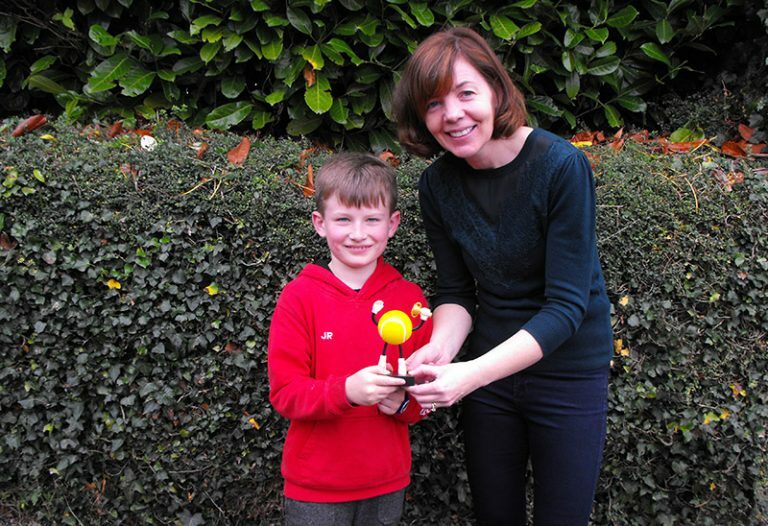 It was encouraging to see so many children taking part and enjoying the fun atmosphere with popular sideshows such as table-tennis and barbecues also on offer. The senior singles consisted of a round robin. A titanic match in section one between Declan McBride and Joe Scott was the highlight with Joe just edging it 11-9 in the third set championship tiebreak. However it was Amy Griffin who went through to the final after two narrow wins against both Declan and Joe. Section 2 saw another tight encounter between Hannah Davis-Kunze and Ciara Griffin. Hannah played some of her best tennis in this match trading hard hitting baseline rallies with Ciara and deservedly took the match 6-4, 6-3. 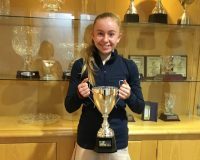 However both girls were outpointed by Anna Guette who after dismantling her forehand in the past year has now turned it into a formidable weapon and it was Anna who emerged from the other half of the draw. 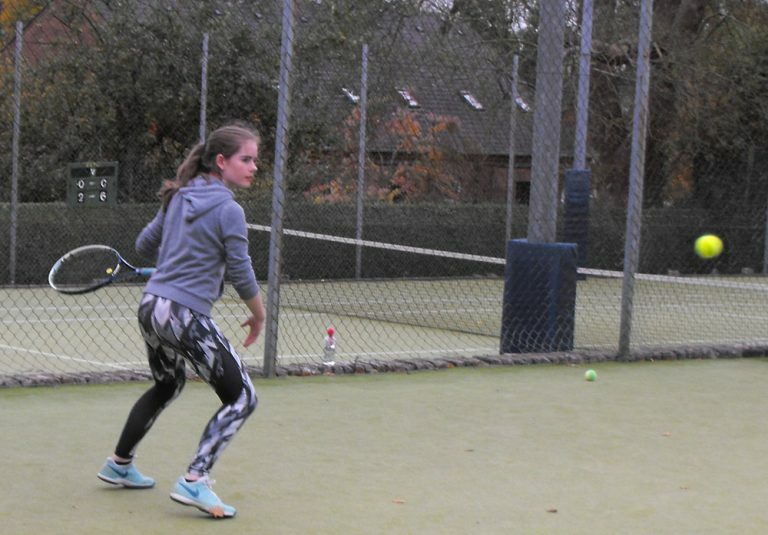 The final was a tense affair with Amy hitting some excellent groundstrokes, but it was Anna’s accuracy, her range of shots and in particular her drop shots that won the day, deservedly taking the match 6-3 6-4. 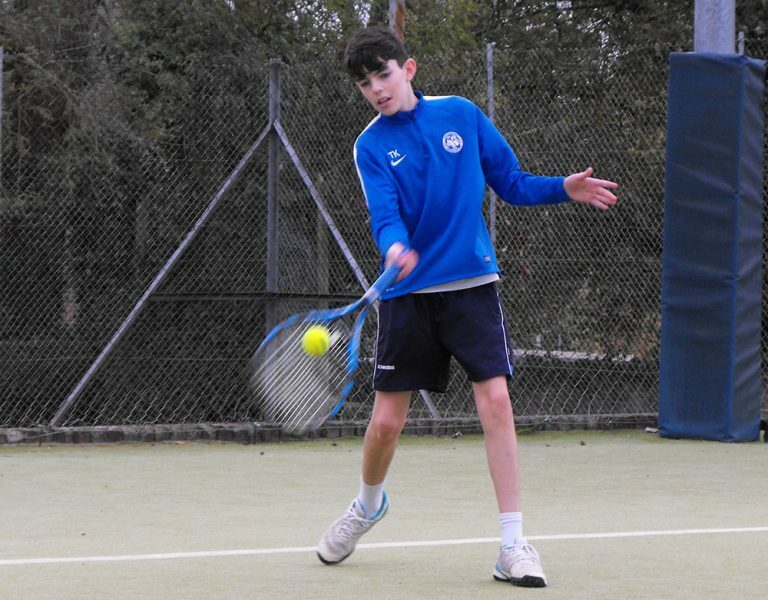 The junior singles saw a narrow win for Bronagh Smyth over Tom Kettyles 6-3 7-6. Rory Smyth beat sister Bronagh in a tight match 6-3 7-5 to take a place in the final against number one seed Kyle Deery. 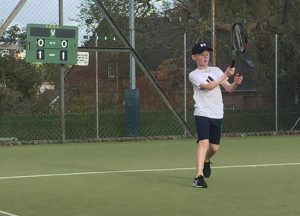 It was Kyle who won the final 6-3 7-5 in a long match with Rory, with both boys showing considerable improvement over the past year. Tom Kettyles did not leave empty-handed and won both his matches in the consolation event. The novice singles saw several new faces to competition. 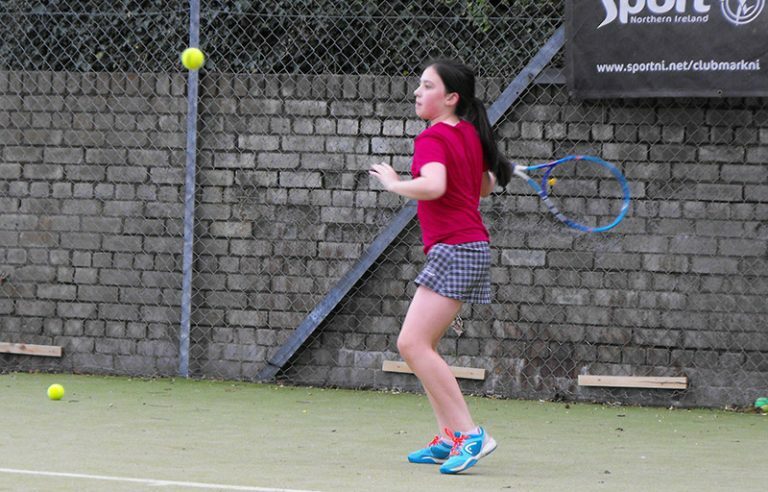 Rhianne McGuinness showed considerable potential in winning her first match in decisive fashion. 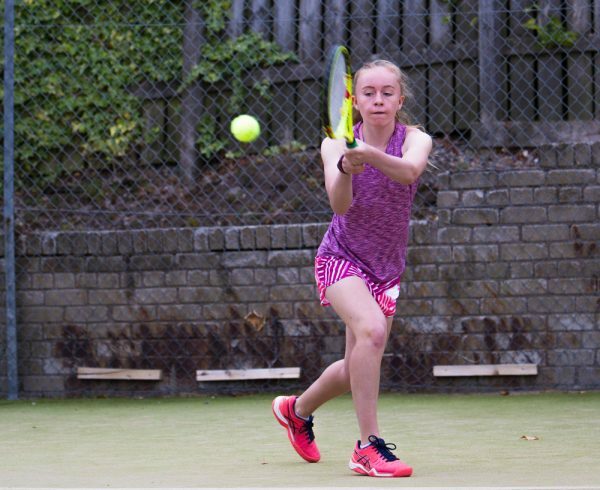 Annabel Morrison also put in an eye catching performance against number one seed Kaelan Deery although she lost 4-6 3-6 in the semi-final. Sam Morrison progressed from the other half of the draw taking a tight match against Matthew Wilson 7-5 6-1. The final proved to be high in quality with Kaelan taking the honours 6-4 6-3 but both Kaelan and Sam can be very satisfied with their performances this week. 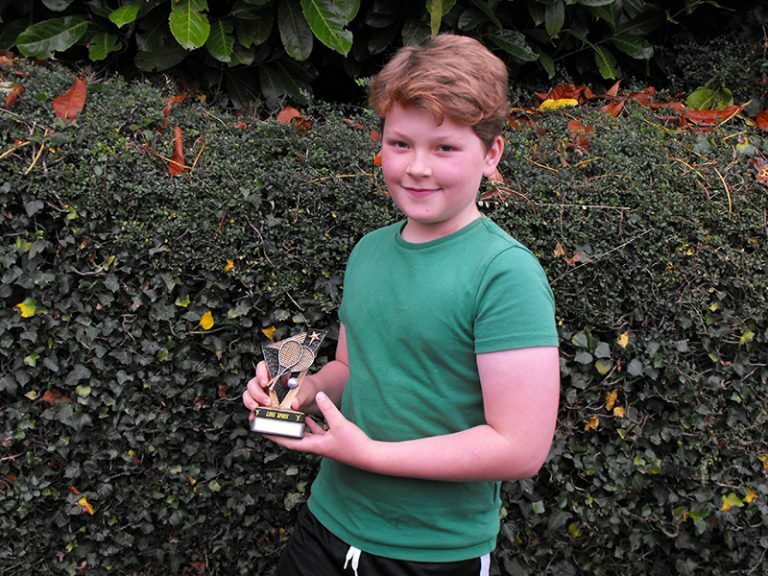 The consolation event went to James Robinson who overcame Charlie Cairns in the final. The senior doubles final was a keenly contested match. Hannah Davis-Kunze and Ciara Griffin pushed Amy Griffin and Anna Guette all the way, with the latter pair eventually taking the match 6-3 7-6. 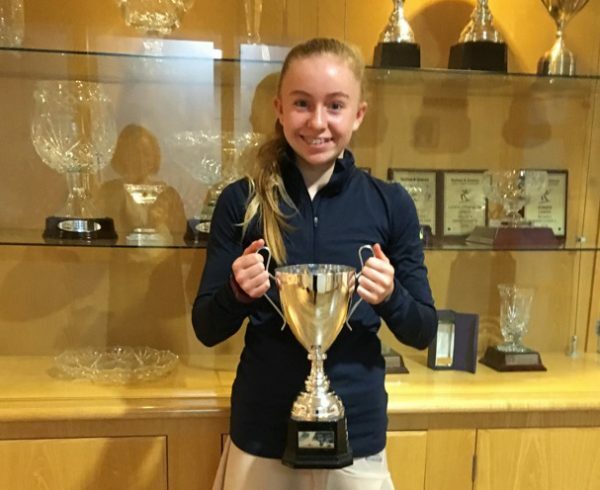 While this provided compensation for Amy, it capped a memorable week for Anna who completed the double, having won the senior singles earlier in the afternoon. The junior doubles saw Kyle Deery and Michael McDonald holding on for a narrow win over Aoibheann King and Rory Smyth 6-3 7-6. Aoibheann is playing with increased confidence and is definitely one for the notebook. Michael is another who has made great progress over the past 12 months and he should be delighted with his performance. The novice doubles saw a clean sweep for Kaelan Deery and Sam Morrison, with three successive victories in this round robin event. 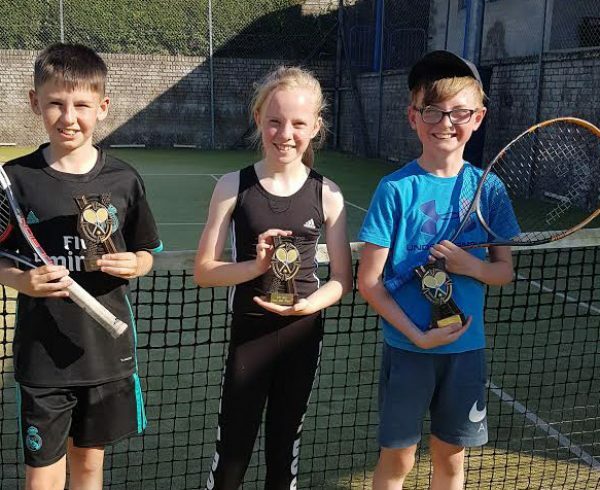 Carla Smith and Matthew Wilson put in a solid performance against Owen Kelly and Annabel Morrison, although this was not quite enough to seal victory. 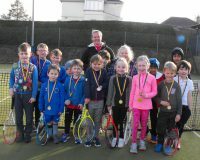 Owen and Annabel ended up winning two of their three matches and deservedly took the runners up slot. 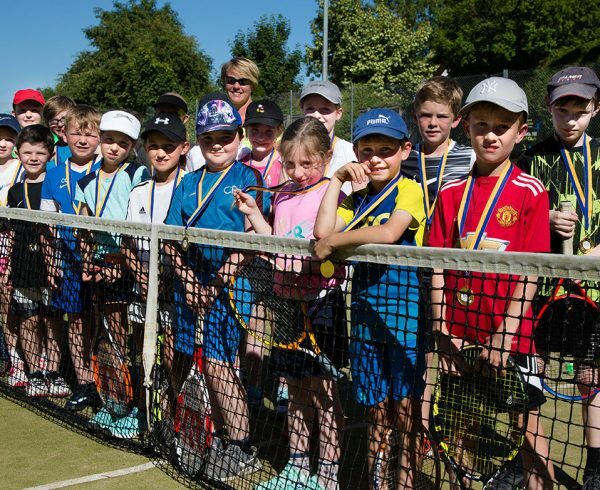 The tens event was limited to the U10s, U9s and U8s. Every child enjoyed at least one win in this competition. 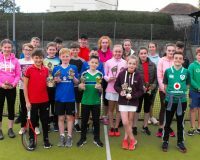 Many of these children are still enjoying the popular Friday Clubnights and include Nathan and Pranay Pacha, Chloe Smith, Harry and Zara Welsh. Their performances last week showed that all the hours of practice really do pay off. 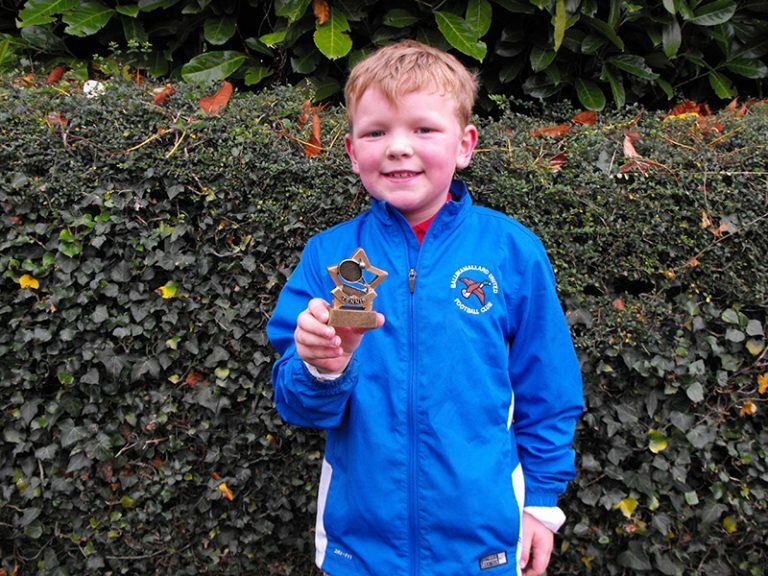 Cormac King was successful all his matches and Emmett Coyle is another who shows plenty of promise. 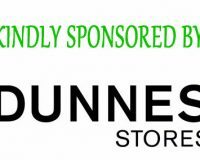 At the presentation, John Griffin paid tribute to Dunnes Stores for supporting this local event for the third year in succession. 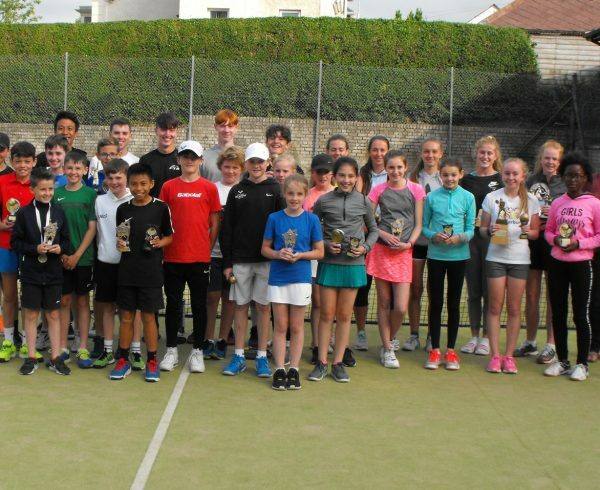 He said it was particularly important that all juniors at the club should feel that this event is for them regardless of whether they are performance players or recreational players. The camaraderie amongst the players and amongst the parents over the past few days is a great example of what sport should be about. It is little wonder that this is one of the most popular events in our junior calendar. Tribute was also paid to the coaches Matthew and Louise McGann for the significant contribution they make to tennis in the community and the positive impact they have had by bringing tennis to the doorsteps of both primary and secondary schools in the catchment area. 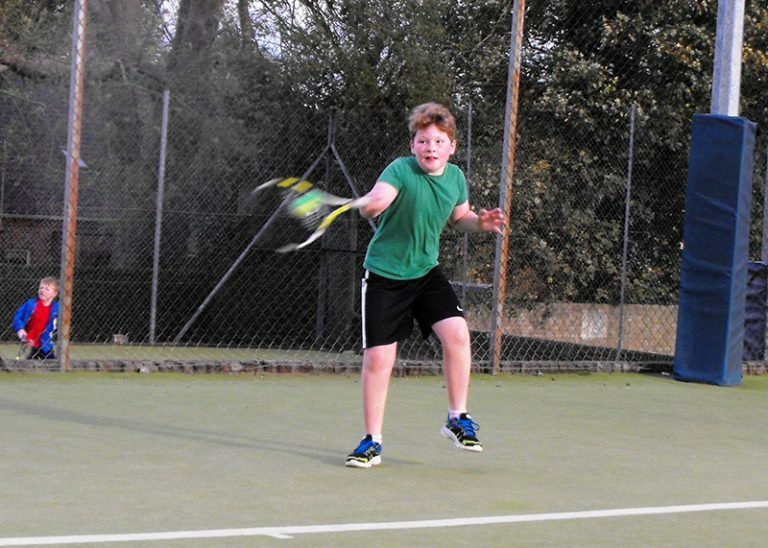 It is easy for any child to get started in tennis by coming to our club-nights on Friday evenings. There are three separate sessions consisting of fun games and coaching at 5.30pm (age 4-6), 6.15pm (age7-10) and 7pm (age 11-17). 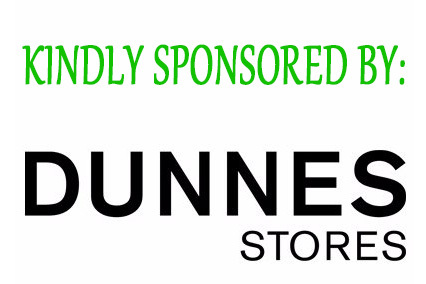 More information is available from the website junior section here or by ringing 02866 322074.